China’s military modernization includes ambitious and vigorous efforts to develop effective antiaccess/area-denial (A2/AD) capabilities to deter intervention by outside powers. Highly accurate and lethal antiship cruise missiles (ASCMs) and land-attack cruise missiles (LACMs) carried by a range of ground, naval, and air platforms are an integral but understudied part of this counter-intervention strategy. and identifies potential future directions for Chinese cruise missile development and employment. Click here to read the full text, complete with structural and genealogy graphics, photographs, and order of battle matrices. Dennis Gormley is a Senior Lecturer at the University of Pittsburgh’s Graduate School of Public and International Affairs and an internationally recognized expert on cruise missiles. 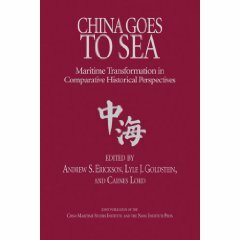 Andrew S. Erickson is an associate professor at the Naval War College and an associate in research at Harvard University’s Fairbank Center for Chinese Studies. Jingdong Yuan is an Associate Professor in the Centre for International Security Studies at Sydney University and is an expert on arms control and nonproliferation who has written widely on Asian security issues. A key element of the PLA’s investment in antiaccess/area-denial (A2/AD) capabilities is the development and deployment of large numbers of highly accurate antiship cruise missiles (ASCMs) and land-attack cruise missiles (LACMs) on a range of ground, air, and naval platforms. China’s growing arsenal of cruise missiles and the delivery platforms and C4ISR systems necessary to employ them pose new defense and nonproliferation challenges for the United States and its regional partners. This study surveys People’s Republic of China (PRC) ASCM and LACM programs and their implications for broader PLA capabilities, especially in a Taiwan scenario. Key findings are presented below. Cruise missiles are versatile military tools due to their potential use for precision conventional strike missions and the wide range of employment options. Modern cruise missiles offer land, sea, and air launch options, allowing a “two-stage” form of delivery that extends their already substantial range. They may also be placed in canisters for extended deployments in harsh environments. Because cruise missiles are compact and have limited support requirements, ground-launched platforms can be highly mobile, contributing to prelaunch survivability. Moreover, cruise missiles need only rudimentary launch-pad stability, enabling shoot-and-scoot tactics. Since cruise missile engines or motors do not produce prominent infrared signatures on launch, they are not believed to be detectable by existing space-warning systems, reducing their vulnerability to postlaunch counterforce attacks. The potentially supersonic speed, small radar signature, and earth-hugging flight profile of cruise missiles stress air defense systems and airborne surveillance and tracking radars, increasing the likelihood that they will successfully penetrate defenses. Employed in salvos, perhaps in tandem with ballistic missiles, cruise missiles could saturate defenses with large numbers of missiles arriving at a specific target in a short time. Optimal employment of cruise missiles requires accurate and timely intelligence; suitable and ideally stealthy and survivable delivery platforms; mission planning technology; command, control, and communications systems; and damage assessment. China, like other nations, has come to regard ASCMs as an increasingly potent means of shaping the outcome of military conflicts. China has developed its own advanced, highly capable ASCMs (the YJ series) while also importing Russian supersonic ASCMs, which have no operational Western equivalents. China is capable of launching its ASCMs from a growing variety of land, air, ship, and undersea platforms, providing redundant multi-axis means of massing offensive firepower against targets at sea (or at least against their predicted locations). Virtually every new surface ship and conventionally powered submarine in the People’s Liberation Army Navy (PLAN) can launch ASCMs, allowing these platforms to serve as “aquatic TELs” (Transporter-Erector-Launchers). Navy training has become more diverse and realistic in recent years with increasing focus on cruise missile operations. Beijing has furnished its ASCMs with improved guidance and has recently begun selling satellite navigation capabilities. Still, over-the-horizon (OTH) targeting remains a challenge. Chinese researchers are studying how to best overcome Aegis defenses and target adversary vulnerabilities. ASCMs are increasingly poised to challenge U.S. surface vessels, especially in situations where the quantity of missiles fired can overwhelm Aegis air defense systems through saturation and multi-axis tactics. Possible future uses of Chinese aircraft carriers might include bringing ASCM- and LACM-capable aircraft within range of U.S. targets. A consistent theme in Chinese writings is that China’s own ships and other platforms are themselves vulnerable to cruise missile attack. But China appears to believe it can compensate by further developing its capacity to threaten enemy warships with large volumes of fire. China has deployed two subsonic LACMs, the air-launched YJ-63 with a range of 200 kilometers (km) and the 1,500+ km-range ground-launched DH-10. Both systems benefited from ample technical assistance from foreign sources, primarily the Soviet Union/Russia. The first-generation YJ-63 employs combined Global Positioning System (GPS)/inertial navigation systems complemented by an electro-optical terminal sensor to achieve 10–15 meter (m) accuracy. The second-generation DH-10 has a GPS/inertial guidance system but may also use terrain contour mapping for redundant midcourse guidance and a digital scene-matching sensor to permit an accuracy of 10 m.
Development of the Chinese Beidou/Compass navigation-positioning satellite network is partly intended to eliminate dependence on the U.S. GPS for guidance. Beijing has purchased foreign systems and assistance to complement its own indigenous LACM efforts. From Israel, it has received Harpy antiradiation drones with stand-off ranges of 400 km or more. China may also have the Russian Klub 3M-14E SS-N-30 LACM, which can be launched from some PLAN Kilo-class submarines and deliver a 400-kilogram (kg) warhead to a range of 300 km. Time and dedicated effort will increase the PLA’s ability to employ LACMs even in challenging combined-arms military campaigns. Chinese ASCMs and LACMs could be used in conjunction with other A2/AD capabilities to attack U.S. naval forces and bases that would be critical for U.S. efforts to respond to a mainland Chinese attack on Taiwan. Operating in tandem with China’s huge inventory of conventionally armed ballistic missiles, LACMs could severely complicate Taiwan’s capacity to use its air force to thwart Chinese attack options. Chinese military planners view LACMs as particularly effective against targets requiring precision accuracy (for example-, airfield hangars and command and control facilities). They also view large-salvo attacks by LACMs and ballistic missiles as the best means to overwhelm enemy missile defenses. Chinese planners emphasize the shock and paralytic effects of combined ballistic and LACM attacks against enemy airbases, which could greatly increase the effectiveness of follow-on aircraft strikes. These effects depend significantly on the number of launchers available to deliver missiles. China currently has 255-305 ballistic missile and LACM launchers within range of Taiwan, which are capable of delivering sustained pulses of firepower against a number of critical airfields, missile defense sites, early warning radars, command and control facilities, logistical storage sites, and critical civilian infrastructure such as electrical distribution. If China’s past record of proliferating ballistic missiles and technology is any indication of its intentions vis-à-vis cruise missile transfers, the consequences could be highly disruptive for the nonproliferation regime and in spreading A2/AD capabilities. China has sold ASCMs to other countries, including Iran. Beijing is suspected of furnishing Pakistan with either complete LACMs or components for local assembly. China’s current adherence to the principles of the 34-nation Missile Technology Control Regime (MTCR) is especially problematic in regard to cruise missiles and UAVs. China has sought unsuccessfully to become a full member of the MTCR since 2004. However, should China become a fully compliant MTCR member, it would be a salient achievement in controlling widespread LACM proliferation. China has invested considerable resources both in acquiring foreign cruise missiles and technology and in developing its own indigenous cruise missile capabilities. These efforts are bearing fruit in the form of relatively advanced ASCMs and LACMs deployed on a wide range of older and modern air, ground, surface-ship, and sub-surface platforms. To realize the full benefits, China will need additional investments in all the relevant enabling technologies and systems required to optimize cruise missile performance. Shortcomings remain in intelligence support, command and control, platform stealth and survivability, and postattack damage assessment, all of which are critical to mission effectiveness. Loyd Eskildson, “Excellent Summary of An Important Topic,” 5-Star Review, Amazon.com, 16 January 2016. —Robert Farley, “After China: The Proliferation of Cruise Missiles,” The Diplomat, 3 July 2014. —J. Scott Shipman, “A Low Visibility Force Multiplier—A Recommendation,” Zenpundit, 5 June 2014. —Bradley Perrett, “Chinese Cruise Missile Capabilities Flying Under Radar,” Aviation Week, 10 June 2014. —Gordon Lubold with Nathaniel Sobel, “Situation Report,” Foreign Policy, 3 June 2014. —Wendell Minnick, “Report: Chinese Cruise Missiles Could Pose Biggest Threat to U.S. Carriers,” Navy Times, 2 June 2014. —Bradley Perrett, “China Strongly Pushing Cruise Missile Capability,” Aerospace Daily & Defense Report, 22 May 2014, 4. —Dr. 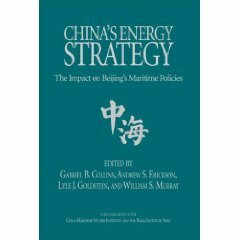 Carl D. Rehberg, Headquarters, US Air Force/A8, review of Dennis M. Gormley, Andrew S. Erickson, and Jingdong Yuan, A Low-Visibility Force Multiplier: Assessing China’s Cruise Missile Ambitions (Washington, D.C.: National Defense University Press, 2014); Air Force Research Institute, 15 May 2014. 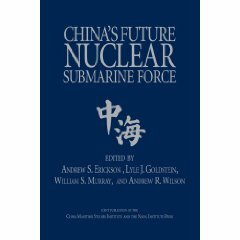 A 3,000-word summary of this book is offered in: Dennis Gormley, Andrew S. Erickson, and Jingdong Yuan, “China’s Cruise Missiles: Flying Fast Under the Public’s Radar,” The National Interest (12 May 2014). 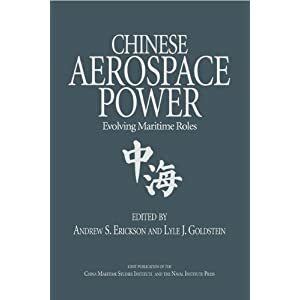 Andrew S. Erickson and Jingdong Yuan, “Antiaccess and China’s Air-Launched Cruise Missiles,” in Andrew S. Erickson and Lyle J. Goldstein, eds., Chinese Aerospace Power: Evolving Maritime Roles (Annapolis, MD: Naval Institute Press, 2011), 275-86.